As market dynamics are constantly developing, business leaders are improving their operational efficiencies, increasing visibility across the organization and enhancing customer relationships. 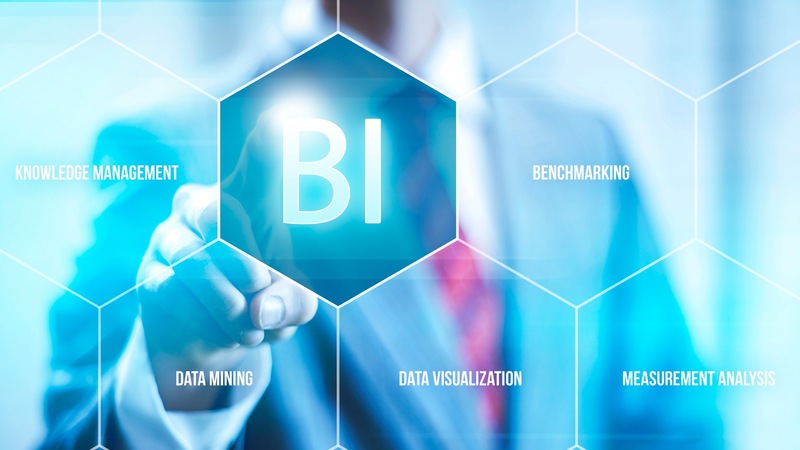 As a result, successful companies have started relying on accurate, timely and integrated information hence adopting BI technology for their organizations. Business Intelligence helps companies make better-informed business decisions and allows organisations to transform data into knowledge for quick and effective decision making. 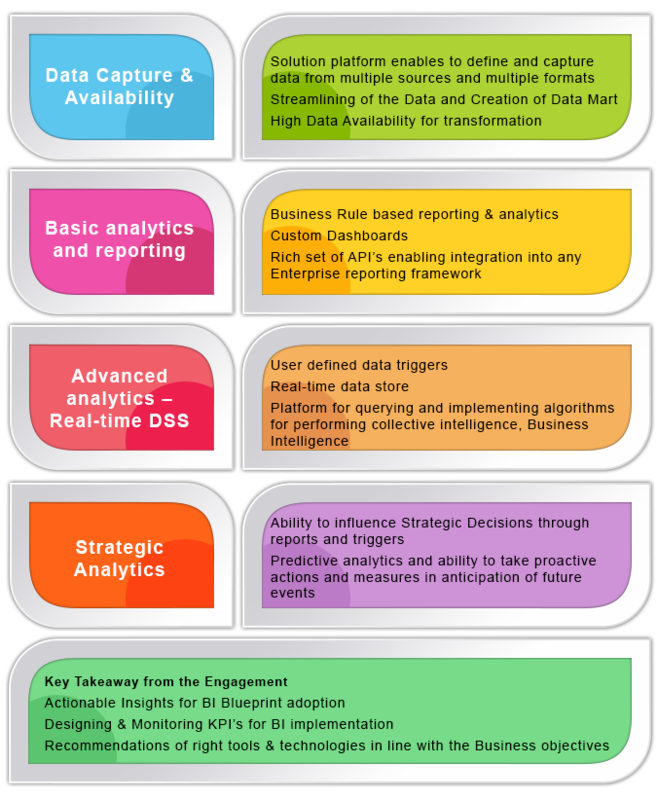 Saibersys Business Intelligence (BI) Maturity Model effectively draws the best practices proposed hitherto in the industry by the researchers & practitioners of BI. 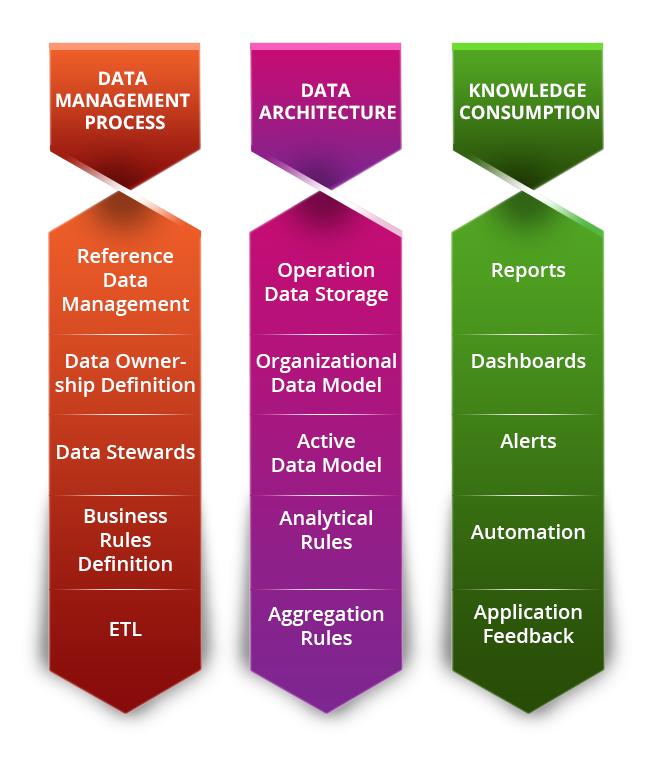 The framework is simple and pertinent to organizations for orchestrating a workable BI roadmap to meet the business objectives. The framework outlined here is "no one size fits everyone" model but nevertheless is applicable to business from growth stage to matured stage. Saibersys functions as an independent consultant providing unprejudiced third party assessment of the current BI stage. Saibersys can help you design, develop, implement and integrate a secure and scalable BI solution that addresses your specific, strategic and tactical needs. Saibersys capability to remove the chaff from the wheat (low performing tools/technologies from the rest) is what earns distinction among it’s customers and drive our engagements. Saibersys successful BI implementation and adoption encompasses and engages PPT (People, Process & Technology). Our assessment will fall appropriately in these three categories. End to end Services - Discovery / Assessment, Planning, Implementation, Management, Measurement.